All dates subject to change. Please note that not all private events will be listed. The Special Edition Band takes great pride in what we do, and we always love feedback. We would hire them a thousand times over!! To put it simply, we cannot get over how FANTASTIC The Special Edition Band was at our wedding this past Friday. Our guests have not stopped raving about how great the music was and how much fun the band was!! John and the band did ensemble jazz music during the dinner hour, and then switched to party music afterwards. To say they sounded amazing just doesn't seem like enough! Despite very little guidance on musical selections from us, the band read the room like pros and played music that kept people on the dance floor the entire night! When I went up and spontaneously asked one of the band members if they could play a slow song, the band effortlessly glided into one and got every couple in the room out on the floor. When the song was over, they seized the opportunity presented by a crowded dance floor and broke out into the conga! SO much fun!! The Special Edition Band MADE our wedding night! My husband and I got married just over a month ago at the Fort Worth Club and we are still getting compliments on the band. When we got engaged, I had a list of "must haves" and a band was on the top of my list. I did some research, reached out to John from the band, and was invited to hear them play before we made our decision. After hearing they play at a local bar, we knew we HAD to have them at our wedding. Throughout the whole process, John was wonderful to work with, patient, always available to talk, and quick to respond to emails. The Special Edition Band MADE our wedding night! We had many guests never leave the dance floor except to grab another cocktail. They made our wedding so fun and we are so thankful that we found them. After announcing the last song of the night and performing it, all of our guests starting chanting, "We want more!" The Special Edition Band played one more song and the guests went wild! 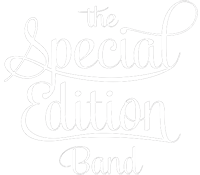 If you are looking for an amazing wedding band in the DFW area, look no further than the Special Edition Band!!! This band is amazing! So easy to work with and accommodating and professional! Our wedding was awesome with this band. Great party and really gets involved with you and your guests to make the night even more fun and special. Get your dance shoes ready because everyone danced all night long. They did our ceremony, cocktail and reception music and their song selection is phenomenal. I wouldn’t suggest booking anyone else.  I found special edition on the know and after reviewing their website, you tube works and talking to John on the phone hired them to not only be the wedding band but also the string quartet for the ceremony!!! I could not have been happier! The quartet was amazing and played my special request for my walk down the aisle. The wedding band was by far the hit! They were energetic and really knew how to read the crowd. I’ve had all my guests tell me how great they were and I’ve had many others request their Information for other events. The band also learned two special request songs For my first dance and the father daughter dance. My first dance was a surprise from husband and I didn’t know what it was. It ended up being my grandparents song, and special edition brought me to tears with their cover! I highly highly recommend this band! John Adams is phenomenal to work with! And for review purposes, I got married March 2, 2018. The Special Edition Band was fantastic! The Special Edition Band was fantastic! And having a live band for our wedding was such an elegant touch, especially the stage presence of a 10 piece band and three members performed for our cocktail hour and we had a three piece set for our ceremony music. But aside from the obvious, which is how great they sounded and performed, I want to say just how great it was working with John. He was always accessible and answered questions my wife and I had during the planning process. We would both HIGHLY recommend this band as they are professional from start to finish. To say this band exceeded my expectations is an understatement! Our guests cannot stop raving out The Special Edition Band! No one left the dance floor all night! They were fun, exciting, sentimental, and the life of the party! John was amazing to work with and not only provided a 10 piece band for the party, but also a duo for the church music which was outstanding and jazz trio for the cocktail hour! 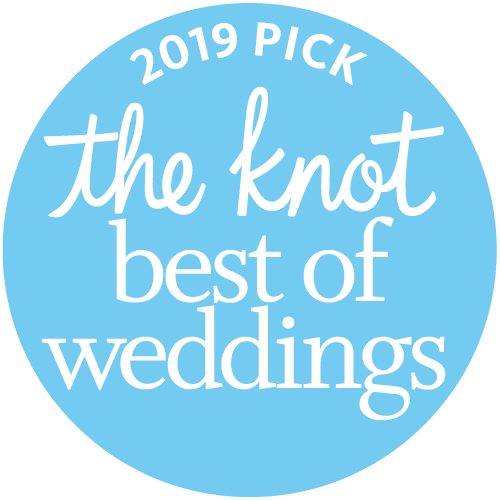 It was a one stop shop and one of the easiest choices I made for the big day! Thank you so much to John and The Special Edition Band for helping make our wedding one of the greatest nights ever! ...Amazing job! Everyone had a great time! I wanted to personally thank The Special Edition Band for helping make the wedding reception such a success! The band was so great to work with and I so appreciate your flexibility in the crazy event schedule that evening. Many, many thanks and gratitude to John, Linda and the rest of the band for doing such an amazing job! Everyone had a great time! Would highly recommend you for any and all events! You guys were so great! Thank you for such a wonderful job well done! Everyone in your band is SO incredibly professional, something that is a rarity for bands. Thanks again! Would highly recommend you for any and all events! It was especially great... no one wanted to go home! We just want to thank you for making our wedding ceremony and reception fabulous! You performed every song in the ceremony just like we had envisioned and it made it that much sweeter! The reception was just awesome! We wanted it to be a celebration and wanted everyone to have a good time and it was above and beyond our expectations! You made our reception!! Everyone was having a good time dancing, and we are still getting compliments!! It was especially great when we had you play an extra 30 minutes because no one wanted to go home! You made our day and we were so excited to have you there to celebrate with us! Thank you so much!! Nobody could get off the dance floor! We need to be thanking you!!! Nobody could get off the dance floor! You played the perfect mix of new songs for the youngsters, oldies but goodies for the parents/grandparents and classics that we all love. So many people were commenting at the Sunday brunch that their favorite part was the band!! It even got people to dance that I have NEVER seen on a dance floor. I’ve even had a few friends planning their own DFW wedding that asked who you were! You will probably be getting a few calls… 🙂 Thank you, thank you, thank you!!! It was perfect and made the night better than I could have ever imagined. Thank you very much for the wonderful performance by your band at Elizabeth’s wedding reception. We’ve had rave reviews from our family and friends about the band and about the fun everyone had. Your music was an integral part of our magical time last Saturday night. Truly, Elizabeth was The Dancin’ Queen at her own party as well as a impromptu vocalist. You did a great job getting our guests moving, jumping, and involved in the fun. I just wanted to thank you again for the great music at our wedding. It truly made it a great night. You all were fantastic. I will definitely pass on your name to anyone looking for a band. Thanks Again! I have heard nothing but glowing reviews from your performances. Thanks for lending your talents to our weekend. I have heard nothing but glowing reviews from your performances. Hopefully we’ll be able to work together again real soon. The Special Edition Band was PERFECT!! The Special Edition Band was PERFECT!! I don’t know what else to say. They were punctual, pleasant, the volume was perfect and the ‘sound’ was just what we were looking for. Thanks again! You and your band were incredible. You and your band were incredible. Everyone at our party loved your music. We really appreciate everything you did at the reception and you really helped keep our timeline going. I hope to use you again in the future! I am sure by then you will be famous! Everyone is still talking about the wonderful music. Thank you, Special Edition, for making the happiest day of my life even better. I wanted our reception to be a party for our friends and family to enjoy and that is exactly what I got. Everyone is still talking about the wonderful music. ...Everyone raved at how much fun they had dancing to the music. I just wanted to drop you a quick note and say “Thank You” for a fabulous performance. Special Edition was so great at our wedding reception and everyone raved at how much fun they had dancing to the music. Thanks for making our night really memorable and being a part of the celebration. Thanks again! John I wanted to take moment and thank you, Linda and the rest of your band for a great performance. Your group is to be commended on your performance and how well you kept our guests engaged which contributed to a truly perfect evening. We look forward to seeing and hearing you again. You guys are so awesome! So many people commented on how great you are! We all had a fabulous time and have only one complaint… the party ended waaay too quickly! We would have enjoyed singing and dancing for many more hours to your wonderful music! Thank you for making our night the BEST PARTY of our lives! What a fabulous night our reception was and we owe so much of it to you! Already we have many friends asking who you are and wanting your info for theirs and/or their friends’ weddings. Thank you for making our night the BEST PARTY of our lives! We know we chose the best band in Dallas! Thank you all for making our day special. Music is one of our first loves, so it was critical for us to have a great flow at our wedding. We know we chose the best band in Dallas! We look forward to hearing you in public in the future. The Special Edition Band MADE OUR NIGHT! The Special Edition Band MADE OUR NIGHT! Also, you were the BEST vendor we worked with bar none; great responsiveness. Fantastic job. You made our day very special! The pleasure was all ours! What a joy to meet you all and experience your beautiful music. You made our day very special! Thank you. We both just wanted to say thank you again, so much, for doing such a fabulous job at our reception. Everyone has just been raving about how fun, wonderful, and overall talented you all are. You all really helped make it a great party and we are forever grateful for your kindness and your talents. We will most certainly send you our referrals! We loved every minute of it!!!! Thanks for doing such an AWESOME job! We loved every minute of it!!!! You guys are so incredible. Everything that someone would hope for and expect out of a ‘wedding’ band (although that description does not begin to encompass your true talent) but rarely do people get this type of quality and professionalism! Thank you for everything!!!! Wish you could have played another 4 hours! I received soooo many compliments about the fabulous band! I just wanted to let you know what a GREAT time everyone had at —- Surprise Party on Saturday evening. I received soooo many compliments about the fabulous band! I gave away several of your cards and have already had a couple of emails wondering how to get a hold of you. Thanks so much for a great time!! Several of us want to get together and come see you all play again sometime. Is your schedule about where you will be playing on your website? If so, you may see us again sometime. The music was absolutely fabulous and we had such a blast! You guys ROCKED! The music was absolutely fabulous and we had such a blast! I realized about half way through the evening that following cocktails and dinner any slow there weren’t any songs because I didn’t give you any to do… and then I forgot about it because of the nonstop dancing! So many of our friends and family have mentioned how incredible you guys were, too. And that last song you learned for us was perfection! I’m more than happy to tell others how great you were. Thank you again for everything! John, I just wanted to stop today and let you know how absolutely wonderful you and your band were for the event for our daughter Heidi. We could not have been happier. You all sounded like the original recording artists… People kept coming up to us and asking us “Who is this band?” Heidi told us repeatedly that she had the time of her life. Thank you so much for a job PERFECTLY done!